The extensive Bacon Freak bacon selection includes the classics to the uncommon. Gathered from distinctly different places around the US, think deep south, Eastern mountain range and the good ol’ Midwest, to accumulate distinctly different bacon. 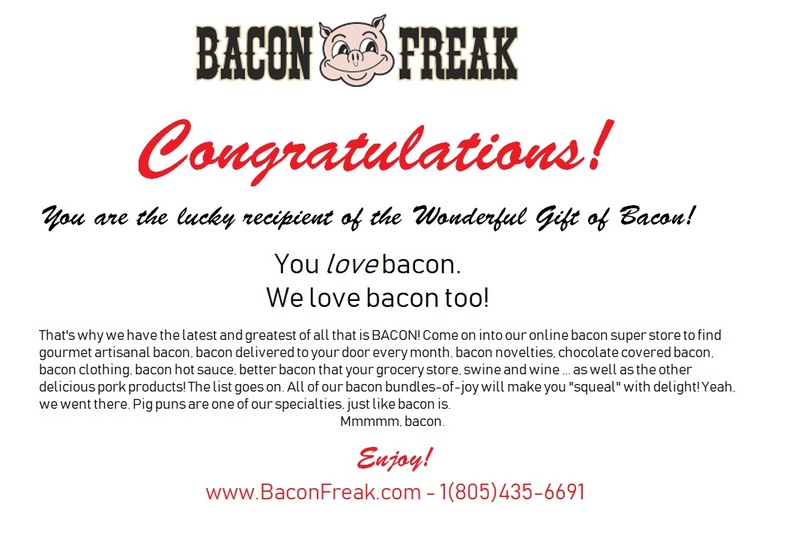 Seldom is heard a complaint about the taste of bacon, but here at Bacon Freak we strive for the extraordinary experience with our gourmet bacon delivery. We offer wet cured, dry cured and uncured bacon. In 2009 over 97% of bacon in the US was injected, also known as pumped, with water during the curing phase. But you won’t find pumped bacon in our assortment. Most of our Bacon Freak bacon is dry-cured, an ancient process often foregone in the modern day of mass production. The dry-cure process takes much longer, often weeks, as compared to minutes to inject/cure, but in our experience a dry-cured bacon results in better flavor and slices of bacon that don’t shrink during cooking. The next step toward pork belly perfection is smoking the bacon with hardwoods like Maple, Hickory or Applewood. Some of our bacon is also flavored further with hand-rubbed spices after the bacon is smoked. Exotic blends like Caribbean Dream, Chipotle or Beer flavored as well as some more traditional flavor rubs like black pepper, garlic or maple cinnamon. “Stroll” the bacon labels in our bacon category and we dare you to not find at least one flavor that speaks to you (or to your belly). Taste the difference that time and experience adds to our Bacon and we think you’ll agree that our gourmet bacon delivery is worth the wait. And remember, it’s not Saturday morning without the smell of bacon cooking!